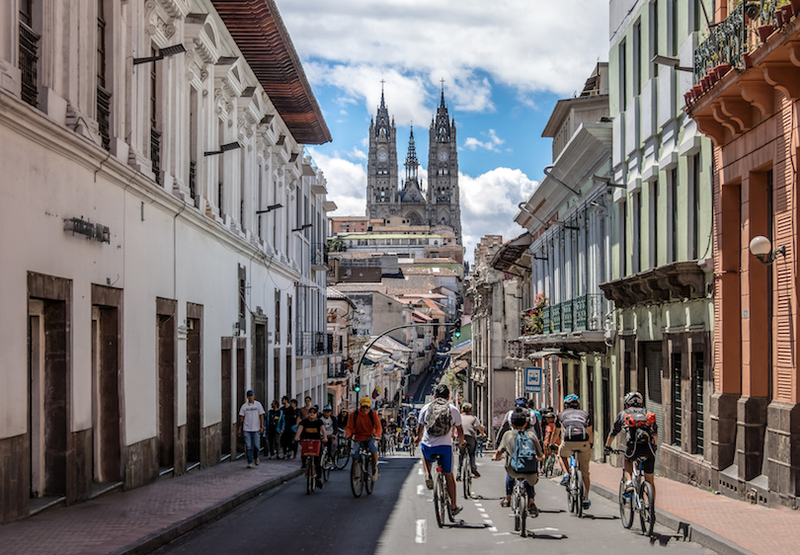 Whether it is beautiful beaches or stunning mountain scenery, astounding colonial-era architecture, or bustling indigenous markets, Ecuador’s cities are as diverse as the country’s incredible landscapes, with each of them having their own distinctive look and feel to them. Exploring bustling port cities and sleepy fishing villages along the Pacific coastline for example offers up a completely different experience to visiting the lofty Andean cities of Otavalo and Quito, while other cities are nestled amidst the dense foliage of the Amazon rainforest. 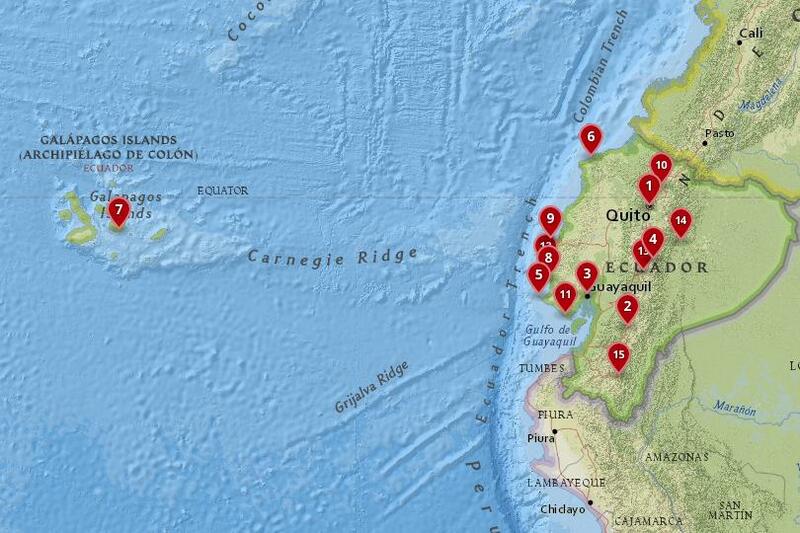 A mesmerising country with a wealth of things for you to see and do, traveling around Ecuador and exploring its lively cities for yourself is sure to be an incredible experience. With nearly five hundred years of history contained in its old streets, Loja is a fascinating place to visit and its beautiful setting at the bottom of Cuxibamba valley only adds to its charm. Renowned for its music scene and rich cultural heritage, Loja has a number of impressive historic sites with the gates of the city and the beautiful cathedral being among its many highlights. Whereas Loja was once used as a base by Spanish conquistadors searching for gold in the nearby mountains and jungles, now it is tourists who flock to the city to visit the huge Parque Nacional Podocarpus which is home to awe-inspiring lakes and waterfalls. 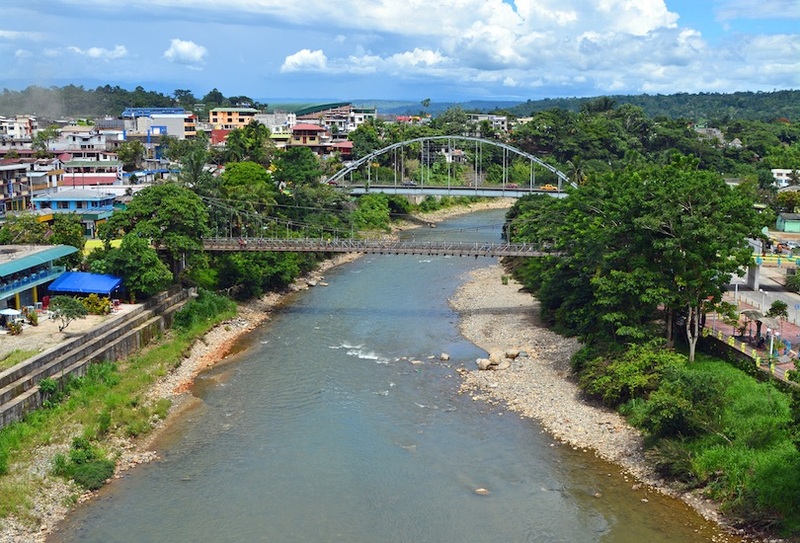 If you’re looking to visit the Amazon rainforest then Tena is the place to head to as the small city is surrounded by jungle and its numerous rivers also make it a fantastic place to go white-water rafting. A picturesque city, Tena has lots of shops, tour operators, and accommodation options. The range of outdoor activities is very impressive as you can explore caves, summit volcanoes, and kayak along jungle rivers. 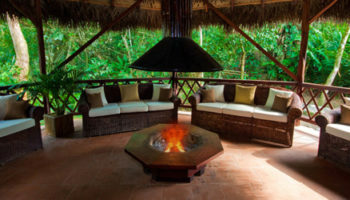 The main draw of course is the opportunity to visit the famous Amazon rainforest and taking a trip to the dense confines of the jungle with all of its spectacular scenery will live long in the memory. 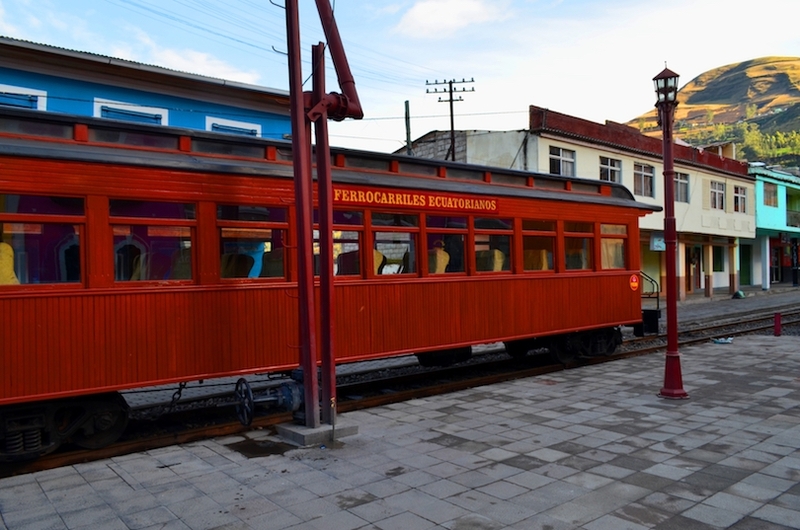 Scenically nestled away in a valley amidst snowcapped mountains and with the gigantic Chimaborazo volcano (the closest point on Earth to the sun) towering in the distance, Riobamba is a sprawling place to visit with a delightful colonial center. 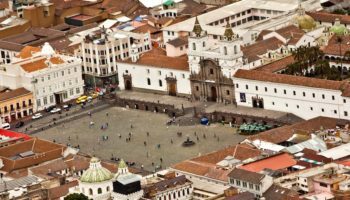 The center of town has lots of impressive churches and colonial-era architecture on show while its bustling Saturday market is a fun and festive occasion which highlights the indigenous make-up of Ecuador’s third largest city. 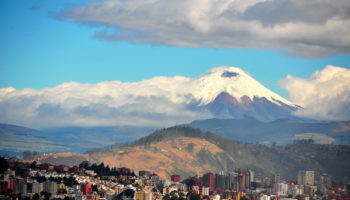 Popular amongst hikers and mountaineers, many people use the city as a base from which to explore Ecuador’s highest mountain or take an incredible train journey through breathtaking scenery to the Nariz del Diablo, in Alausí. Lying on a bay on the Pacific Ocean, the sleepy little fishing town of Puerto Lopez has a marvellous beach and many people use it as a base from which to visit the surrounding coastline. Its peaceful streets are home to some nice restaurants and bars, and in the evening cabanas blast out music while whale watching tours and boat trips run during the day. Truth be told, there is not all that much going on and so relaxing on the beach or exploring the tide pools are the main thing to do alongside visiting the spectacular wildlife and nature in the nearby Parque Nacional Machalilla. A very popular spot amongst Guayaquilenos looking to escape the city for the weekend, Playas is home to the longest beach in the country and is well worth stopping by when in Ecuador. Quite a touristy city, Playas has no airs and graces and is a laidback place to head to if you just want to lounge on the beach all day and eat delicious seafood. If you find yourself needing a bit of excitement then book a dolphin watching tour to catch a glimpse of these majestic creatures in their natural habitat. Famed for the largest indigenous market in Ecuador, Otavalo is a pleasant place to spend some time as the city is nestled in the Andes at a height of 2,532 meters and there are lots of volcanoes, waterfalls, and breathtaking gorges in the surrounding countryside. While the scenery that borders the city is certainly impressive, the center of town has lots of bars and restaurants for visitors to enjoy and a distinctive and rich cultural heritage that is unlike anywhere else in the Andes. 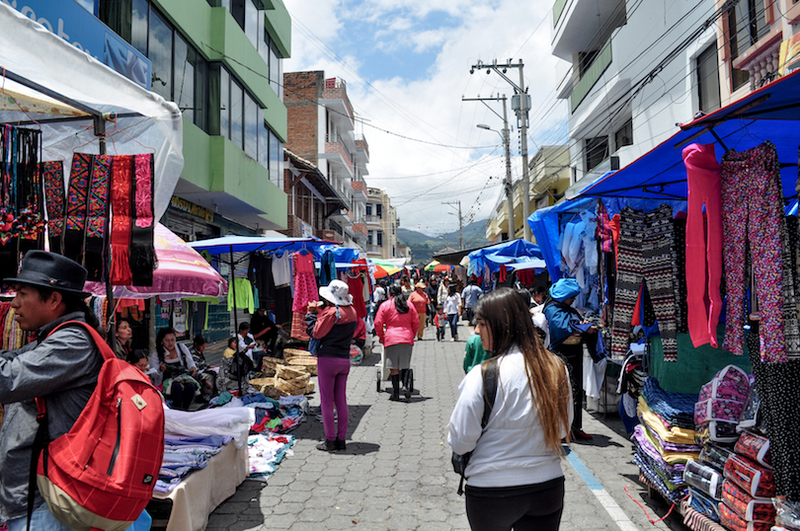 The undoubted highlight however is the teeming markets that light up the town with their festive feel and bright colors and here you can pick up loads of great local crafts, textiles, and leather goods that highlight the amazing craftsmanship of the indigenous Otavalo people. 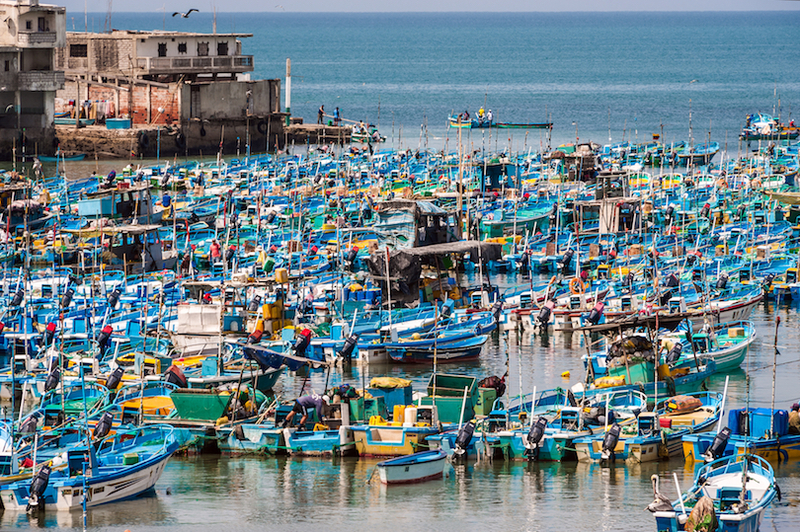 Encompassing both beaches and businesses, Manta is a bustling port city that is home to a number of important industries and as such it acts as a hub for the region. While there isn’t much in the way of sights, Manta does have loads of fantastic seafood restaurants as well as some lively nightlife while its beaches are nice without being anything to write home about. Many people stop by Manta on their way to other places along the coast and Montecristi is a popular town nearby which is famed for its Panama hats. With its pulsating nightlife, beautiful beaches and fantastic surfing spots, Montanita offers up quite the package and it comes as no surprise that it is now a popular tourist destination. 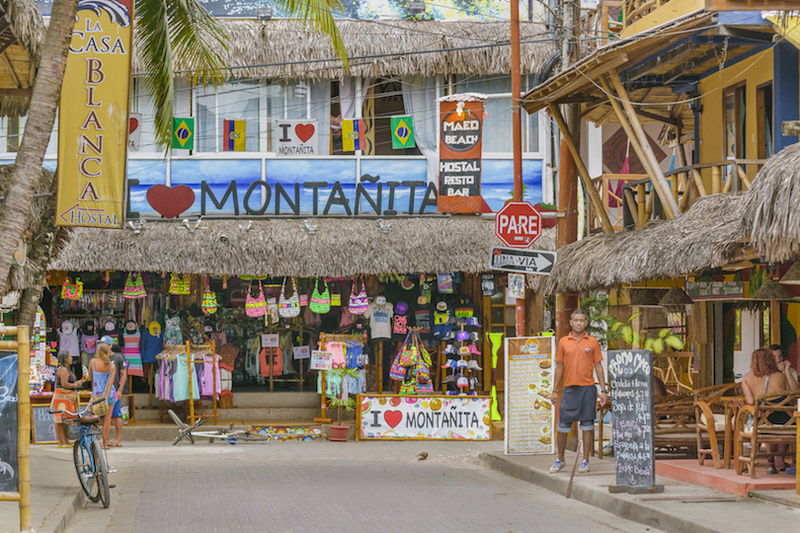 Once a sleepy fishing village, Montanita has successfully managed to retain its charm despite the proliferation of hotels, restaurants, and bars and there is a very bohemian vibe about its laidback streets. Lush vegetation borders Montañita and watching the sunset over the Pacific Ocean is the perfect way to end the day in this tropical paradise. 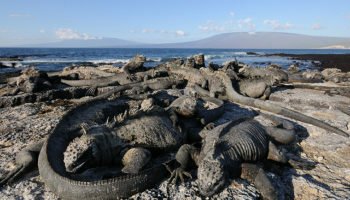 The largest town in the Galapagos Islands, Puerto Ayora is the perfect base from which to explore the incredible natural wonders of the islands as it has a wealth of hotels, restaurants, and stores for you to choose from. 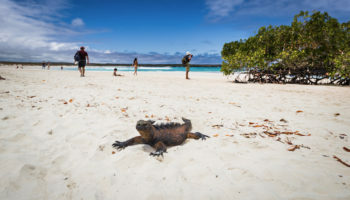 A laidback place, Puerto Ayora has a delightful waterfront where you can grab a meal and you’ll often find pelicans, marine iguanas, and sea lions flopping about along the shore. Of course, the spectacular scenery is what everyone comes for and in town you can easily arrange to go scuba diving, take a boat trip around the islands, or book a visit to the nearby National Park. Lying just north of Atacames, Tonsupa is an increasingly popular destination amongst both locals and foreigners alike as it has a lovely expansive beach and lots of upmarket resorts. Quieter and more relaxed than many of the other cities along the coast, Tonsupa is the perfect place to head to if you’re after a quiet getaway and there are lots of fine dining options available. If the peaceful nature of Tonsupa gets to be too much then you can always head to nearby Atacames or arrange to go on a whale-watching tour. Perched on the tip of a peninsula jutting out into the Pacific Ocean, Salinas is the westernmost city in the country and is a very popular beach resort due to its glorious sandy beaches and abundance of great surf spots. With high-rise apartment blocks dotting the coastline, Salinas looks somewhat like Miami and the city is home to lots of great seafood restaurants as well as some lively nightlife. While it can get packed during the summer months, Salinas is a lovely city to head to if you’re looking to kick back and relax in the sun and there are loads of watersports on on offer. 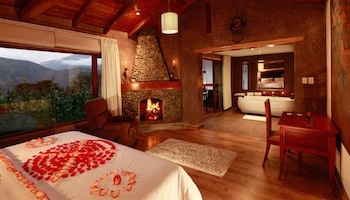 Surrounded by beautiful forest-coated mountains, plunging waterfalls, and the smoky Tungurahua volcano, Baños’ setting is absolutely spectacular and the town is known as the ‘Gateway to the Amazon’ due to its proximity to the steamy rainforest. 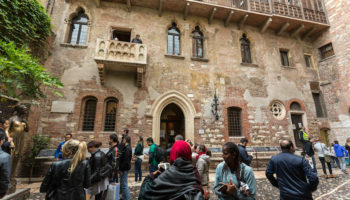 As the center of town is quite touristy and cluttered with tour operators and souvenir shops, you are best off exploring the amazing gorges, waterfalls, and hot springs that border the city. 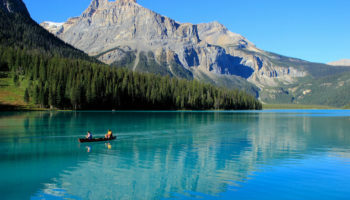 With loads of outdoor activities for you to try, this adventure capital’s stunning setting makes it the perfect place to go mountain biking, rafting, or hiking and the amazing landscapes are simply breathtaking. 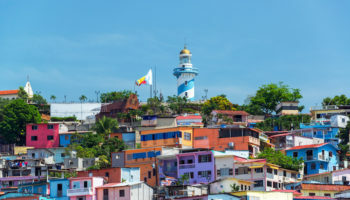 The largest city in the whole of Ecuador, Guayaquil lies on the banks of the Guayas River and is a vibrant, teeming city with one of the busiest ports in South America. 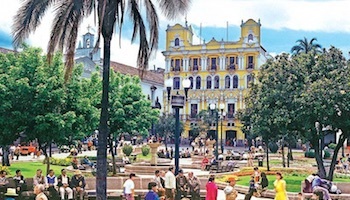 Ecuador’s economic heart has many different sides to it and the architectural gems, such as the glorious Palacio Municipal and delightful colonial buildings in Parque Historico, can be found not far from glistening malls, modern museums, and towering skyscrapers. 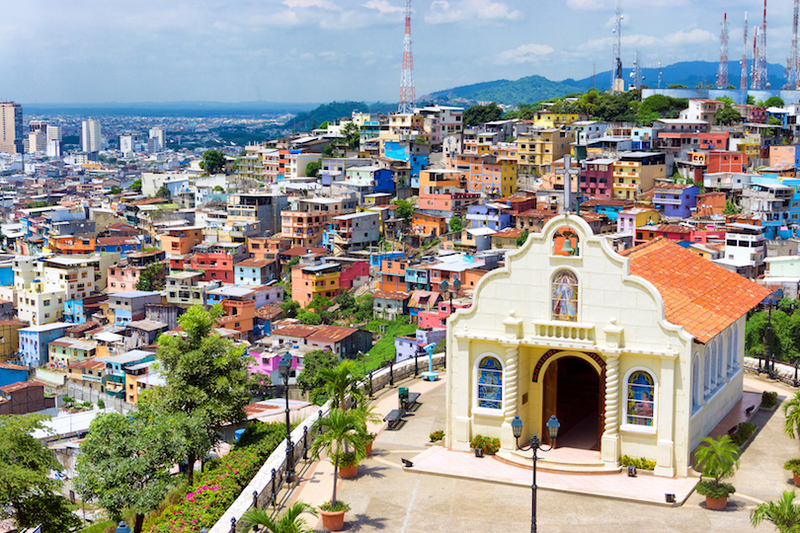 Home to a growing arts and culture scene, Guayaquil has lots of great nightlife on offer, a plethora of fantastic restaurants, and a beautiful riverfront promenade for visitors to enjoy while it is also the main port of call for people heading on to explore the Galapagos Islands. One of the most beautiful colonial cities in the country, Cuenca is an absolute delight to visit and wandering around its old cobbled streets that are lined with beautiful churches and balconied buildings will make you feel as if you’ve stepped back in time. Dating back to the sixteenth century, the historic center is similar in appearance to that of Quito’s, though Cuenca’s is much more peaceful and laidback and the stunning New Cathedral is one of the city’s most famous sights. 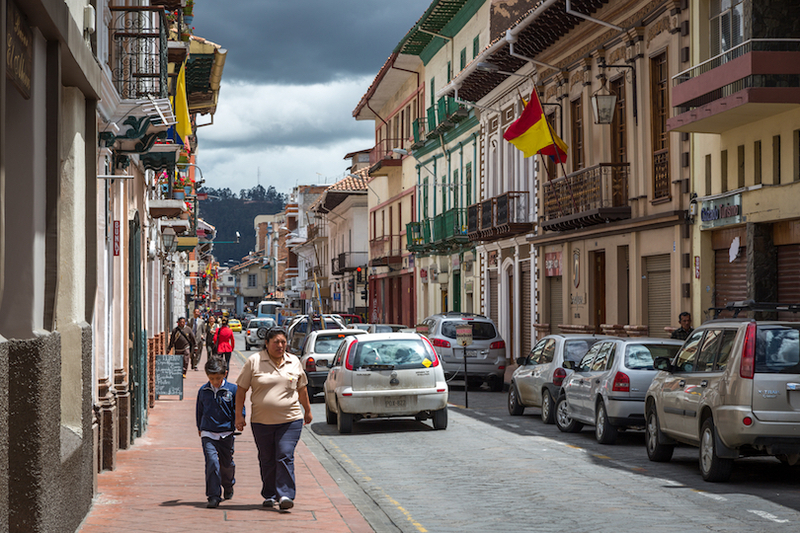 With the spectacular Inca ruins of Ingapirca lying nearby, boisterous local festivals in November and January, and a lively arts and crafts scene; Cuenca is understandably one of the country’s most popular destinations. 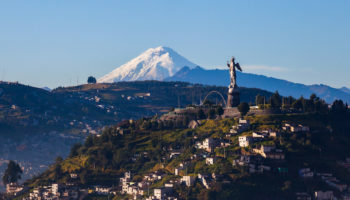 Standing at over 2,800 meters above sea level, Quito is the highest capital city in the world and its stunning location amidst lofty mountain peaks will just as likely take your breath away with its beauty as the altitude itself. With one of the best preserved historic centers in South America, Quito’s Old Town is fascinating to explore as beautiful colonial-era churches lie next to lively plazas, teeming markets and wonderfully leafy parks. 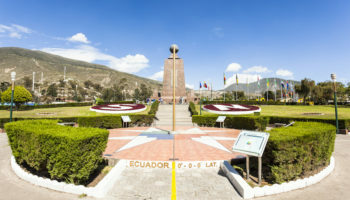 In addition to all of the wonderful architecture on show, Ecuador’s capital has absolutely loads of historic and cultural sites for you to visit, as well as a plethora of great restaurants and a pulsating nightlife scene. Before heading off, make sure to take the Teleférico cable car up the Pichincha volcano to its summit at 4,000 meters and bask in the stupendous views of the Andes and Quito down below.